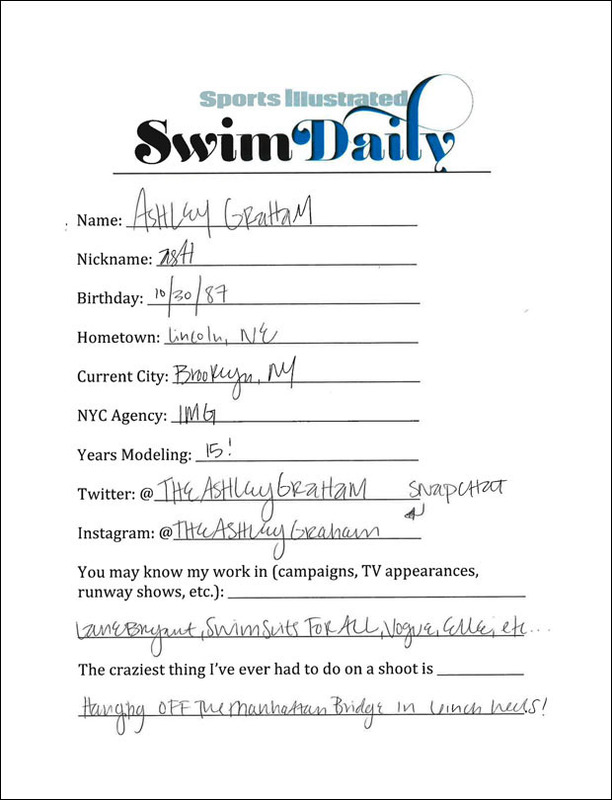 Next up is Ashley Graham, a Nebraska native turned Brooklynite, who you most definitely will recognize from her Swimsuits For All ad in the 2015 SI Swimsuit issue! Ashley is arguably best known for her work as a "plus-size" model with companies like Nordstrom, Macy's, Bloomingdales and beyond, and is an outspoken advocate for women who are "healthy at every size," according to an interview with Style.com. And while you may already know her unforgettable laugh, did you know she is a Chrissy Teigen fan, too? Now you do! Join along as she plays "Never Have I Ever" in the video above, and be sure to check out her bio below where she'll reveal her favorite song to sing in the shower, her guilty pleasure, and so much more! BONUS: See some of Ashley​'s career highlights below!